Millicent Min is of genius intelligence and is getting ready to enter her senior year in high school. The problem is that she’s only eleven. On the one hand, that’s quite an accomplishment, on the other hand, it’s a very lonely existence. Her mother, father and grandma Maddie (all of normal intelligence) desperately want her to make friends her own age. 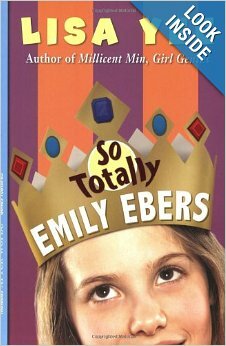 After her mother forces Millie to sign-up for summer volleyball (which is very funny) she finds a friend in Emily, a totally perky, normal 11-year-old. Through this relationship, Millie has a typical summer and learns what it means to be a true friend. I love several things about this story. For one, because it really only has a few featured characters, they are so rich that you really get to know them over the summer vacation. It’s also written like a journal which keeps the story moving along. Most of all, it has some great humor and I Iove the way Millicent talks. The language she uses is in keeping with her level of intelligence and is a stark contrast to the other kids her age. The book leaves the reader wanting to know more about Millie, Emily and Stanford which is great because their are two follow-up stories (pictured below). 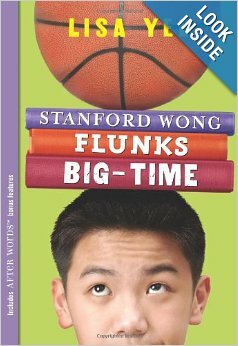 Recommended reading for 5th grade+. Next Next post: Just Keep Writing.